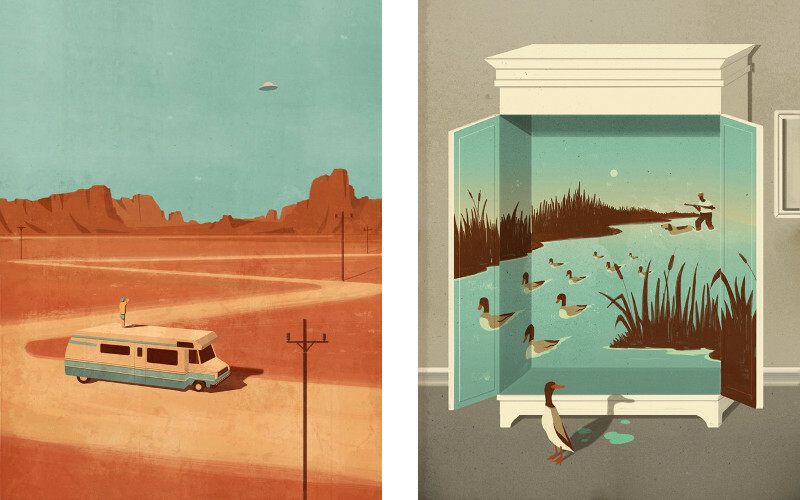 Emiliano Ponzi is an award-winning Italian illustrator known for his distinctive strong graphic compositions. 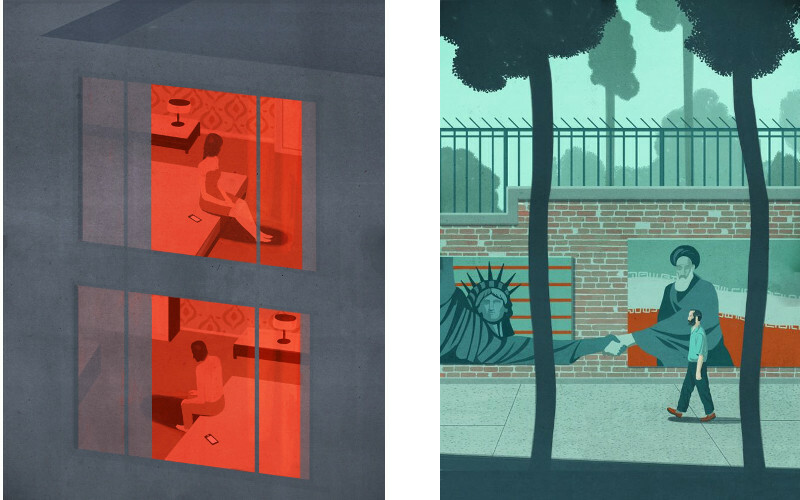 Famous for his bold, textured designs, he creates contemporary scenes that become backdrops for his satirical reflections on the world around us. The artist has the ability to evoke strong emotions with his classy and brave work with pen and brush. The core of Ponzi’s approach is that synapses have the biggest role rather that the ability to simulate a realistic face color or landscape shape. After he finds idea for the works, Ponzi analyzes his discoveries and translates them into fresh, striking paintings imbued with his signature symbology. Born in 1978, Ponzi grew up in Ferrara, a city in northern Italy. Although he began drawing as a child, he had no idea that drawing could become a career. 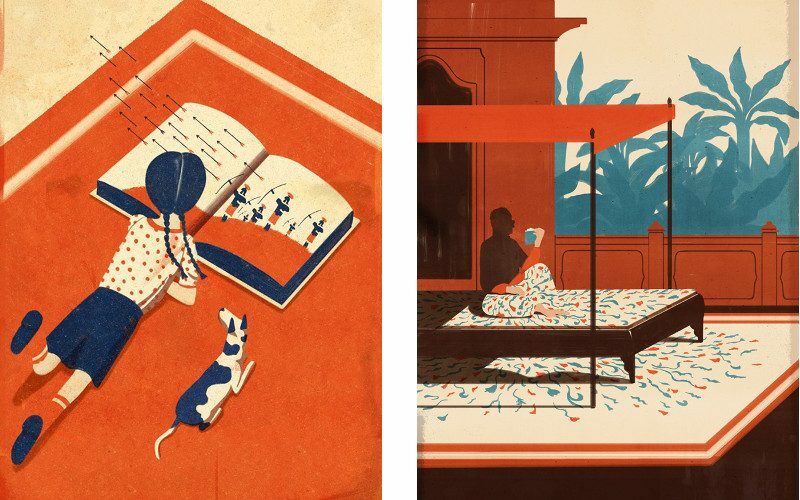 During his studies at the Istituto Europeo di Design (IED), the artist discovered his talent for illustration and set about developing his own process for marrying images and ideas. By the date, his work has been featured in numerous magazines, advertising, children’s books, posters and newspapers. He has won multiple medals of honor from such competitions as the ADC Annual Awards, the ADC Young Guns Award, Associazione Autori di Immagini, Communication Arts, the Society of Illustrators New York, Society of Illustrators Los Angeles, Print magazine, and 3×3 magazine’s Illustration Annual, among others. 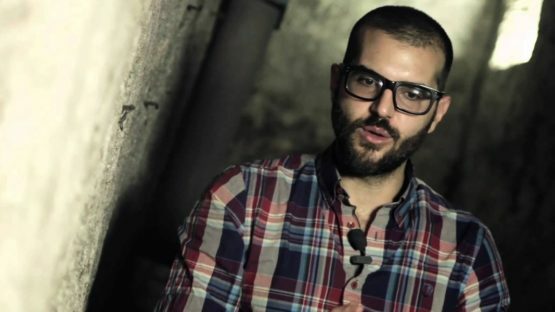 Some of his clients include the New York Times, The New Yorker, the Los Angeles Times, Newsweek, the Washington Post, Internazionale magazine, The Atlantic Monthly, Sports Illustrated, Armani, Swatch, Elle, Cosmopolitan, Le Monde, Time Out New York and La Repubblica, and publishers Feltrinelli, Arnoldo Mondadori Editore and Giulio Einaudi Editore. He is represented by Wunderkammern, the contemporary art gallery located in Rome. Emiliano Ponzi lives and works in Milan, Italy.